Three Floor presents their eye-catching Pacific dress which would be a striking choice for a special occasion or important party. Add metallic heels and a matching clutch to complete the look. 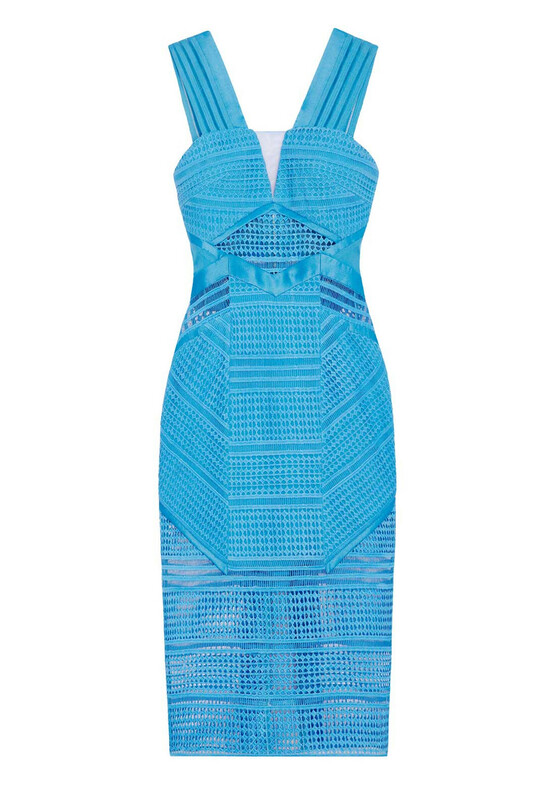 Designed with a figure fitting bodycon shape and midi length. 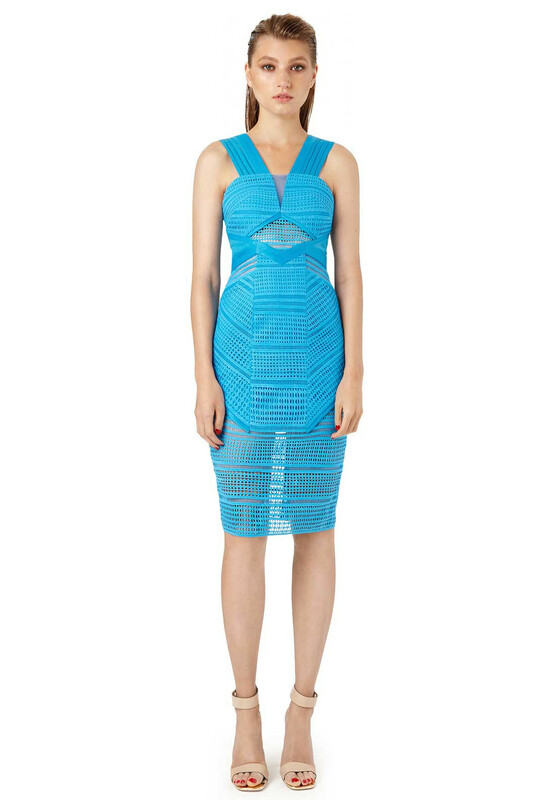 Made from geometric lace with semi-sheer cut out panels on the waist, bodice and skirt. Finishing touches include a V-shaped neckline and exposed rear zip.